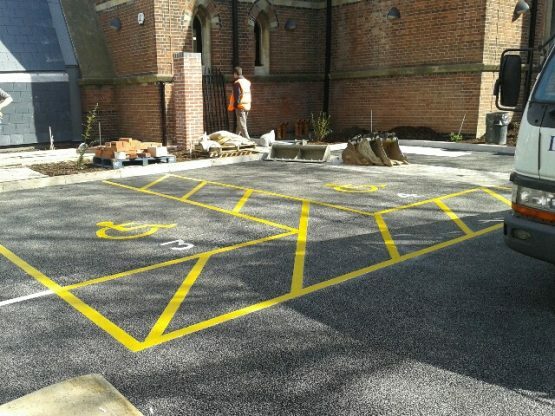 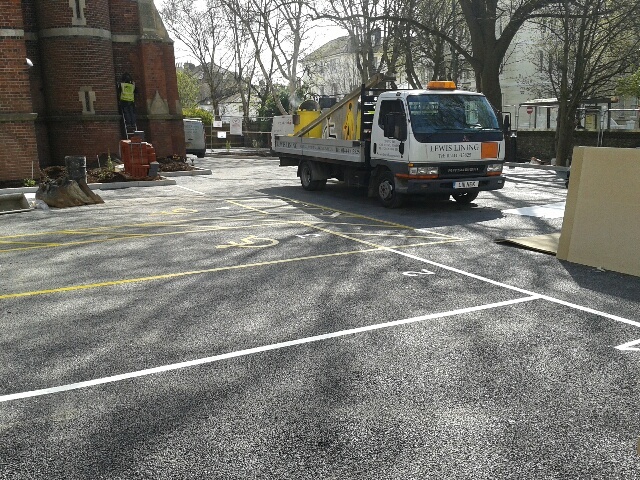 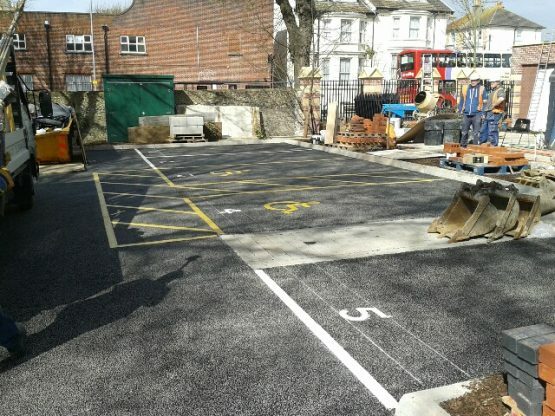 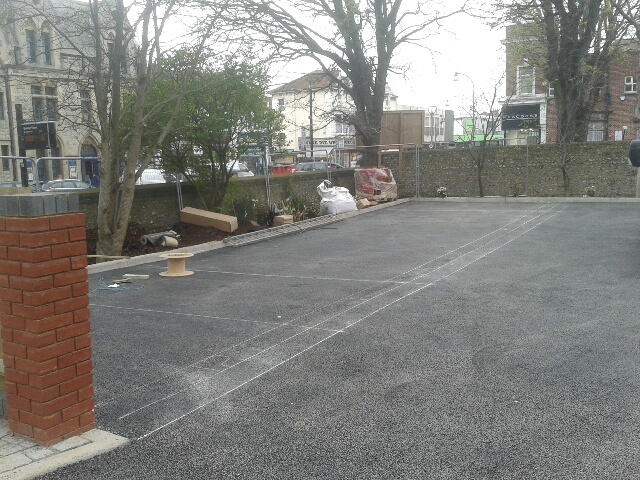 White and Yellow Thermoplastic Material applied to a brand new surface creating parking bays with numbers and disabled bays. 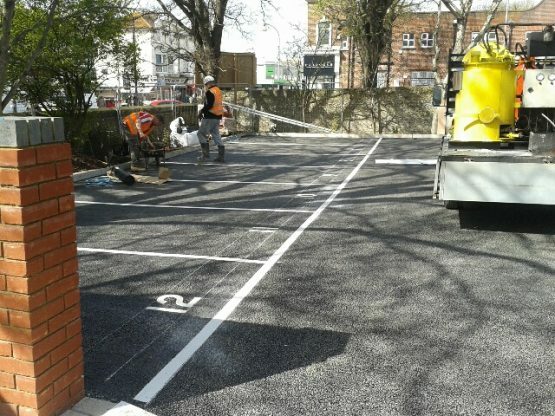 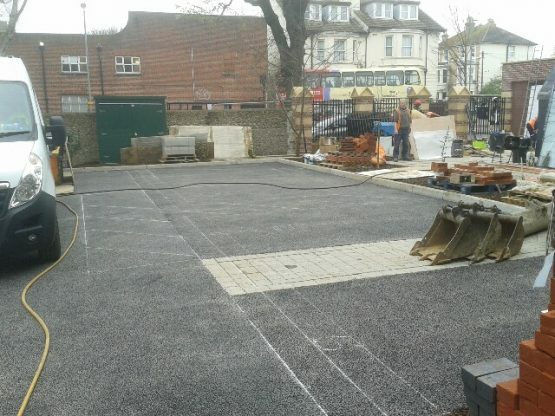 Our operatives use chalk line to accurately measure the size of the bays to ensure they fit within the area available. 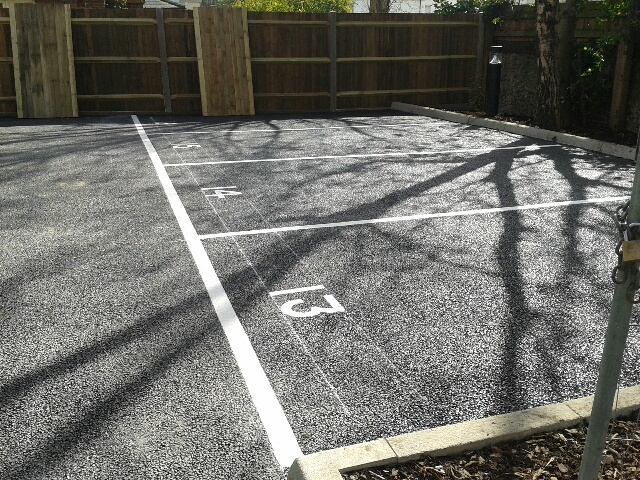 The chalk line disappears and doesn’t leave a trace. 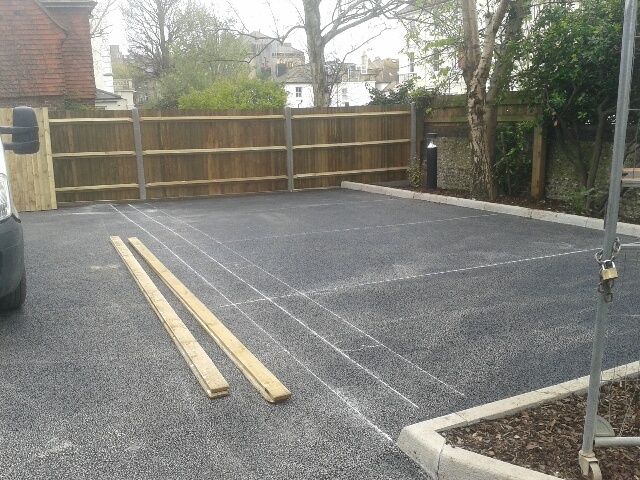 Lovely new surface to work on.